Ladies and gentleman, boys and girls, hamburgers and buns, dogs and cats, stuff and other things... Welcome back to another edition of Attraction Clashin', where a ride from the Disneyland Resort squares off with its counterpart from across the country in Walt Disney World to an ultimate FIGHT TO THE DEATH! Okay, maybe not death, but you get the idea. 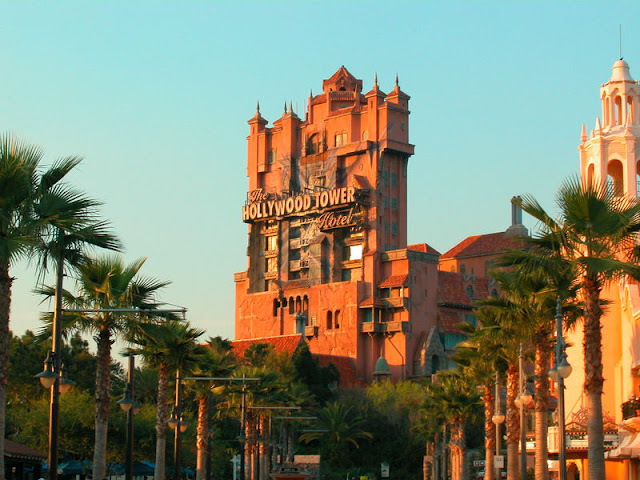 The two Titans of Trepidation going head to head this week are none other than The Twilight Zone Tower of Terror and... the... 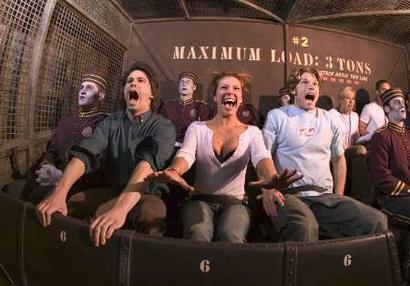 Twilight Zone Tower of Terror... yeah... That didn't quite roll off the way I would have liked. First off, a very quick history lesson. 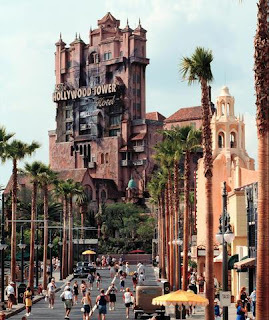 Disney World's version opened in July, 1994 at Hollywood Studios (then called Disney-MGM Studios.) It was the first iteration of the Tower to grace this planet. California Adventure's version opened in May, 2004. For some reason it took ten years to get a second Tower up and running. Alright, history lesson over. Let's FIGHT! The battle starts off with rider capacity! Both versions seat twenty-one guests in each ride vehicle. So far it's anyone's game! 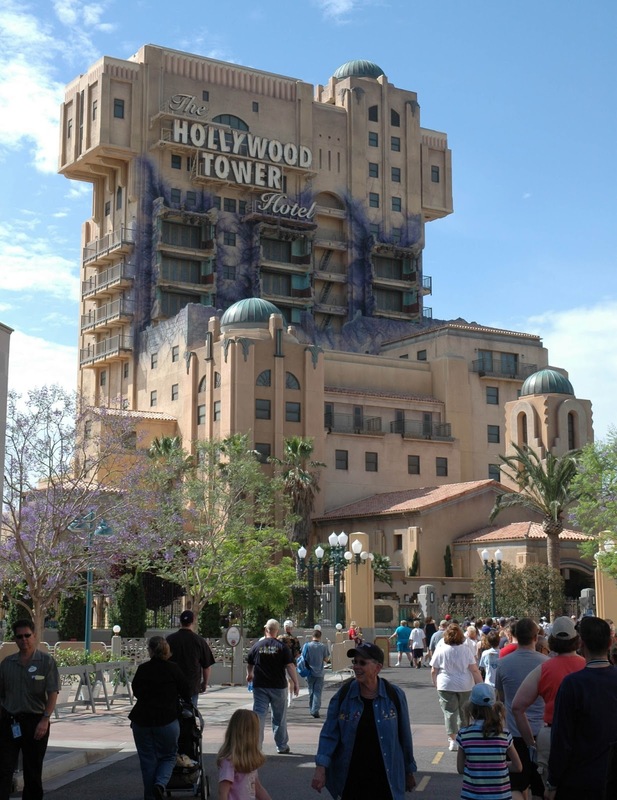 California Adventure's Tower has three elevator shafts that run with two vehicles each. So while one vehicle is actually in the ride shaft, the other vehicle is loading or unloading its participants. Disney World's version has four shafts. But here's the kicker: the ride vehicle itself leaves the shaft on this ride and travels horizontally through a mind-bending "5th Dimension" room and funnels into one of two drop shafts. I'm not sure how the math works out (because I always sucked at geography,) but while Disney World's "5th Dimension" room is insanely awesome, California Adventure comes out swinging with a higher rider capacity! Story lines! Story lines are important! Both rides throw their story lines at each other for this round! But, awkwardly, both versions have the exact same story line of lightning striking the hotel elevators one dark and stormy night and you (the rider) are going to relive that experience. So the story line fight is a tie and both rides are caught in what appears to be an intense cuddle in the center of the ring. California Adventure still has the lead. Uh oh. Disney World's Tower looks pissed, and right-hooks the opposing Tower with appearance! While both Towers sit in the Hollywood areas of their respective parks, both have vastly different aesthetic styles to them. California Adventure's Tower is a stucco, mission-style building, sitting on the flat ground, tucked around a corner of the street, and neighbors a bunch of adorable bugs in A Bug's Land. It looks neat, but not really terror-inducing. Disney World's version, on the other hand, sits up on a hill, looming over the Sunset Boulevard-themed straight shot of a street. It's not tucked around any corners behind an Animation building. From the center of Hollywood Studios, you can see it. It mocks you. It dares you to even come close to it. It laughs at your feeble attempts to hide your children! 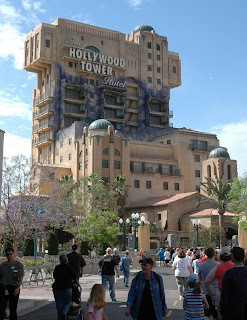 Yes sir, Disney World's Tower has California's against the ropes this time around! But it's not over yet! Now the fight gets dirty! While both story lines are exactly the same, the ride experience itself is different! California Adventure tries to fight back with it's cost-cutting ride experience. Here, the ride shaft you start in is the ride shaft you stay in. It has that creepy mirror effect where you watch yourself disappear. 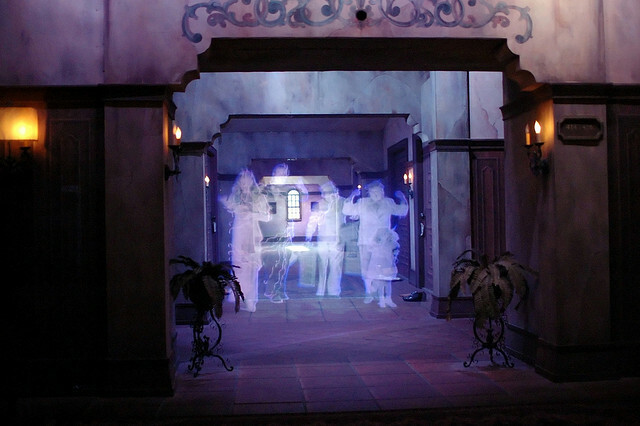 It has the hallway where you watch the past hotel patrons disappear along with the hallway itself. And then you drop. And then you go up. And then a few more ups and downs. The drop sequence is the same every time. Ride it enough and you can anticipate every move the elevator car will make. California's Tower thinks it has gained the upper hand. Disney World's thinks otherwise. Although Disney World's Tower doesn't have the creepy mirror effect, it does have the mind-bending, supernatural, previously mentioned 5th Dimension room. Elevators only go up and down, right? Wrong! Your elevator car leaves its shaft, and plunges forward into inky blackness, with all sorts of weird goings-ons and what-nots. A giant eyeball! Windows! Clocks! Other wacky crap! Just making your mind spin from the most eerie depths of all that you know! And then the stars. In front of you the stars gather in the darkness, closer and closer until they become one great beam of light that splits the darkness open into...more darkness. What the hell just happened? And then you drop. You don't merely just "drop." In this Tower, every drop sequence, every time you ride, is completely randomized. You never know what's going to happen. Sometimes your first drop might be straight up rather than down! Or you might drop down twice in a row! How is that possible? I don't know! Don't question the Twilight Zone! But the real winner is you if you didn't giggle as much as I did every time I typed "shaft."